MFH tactical vest made of polyester . Thanks to this, it is resistant to water and mechanical damage. The vest includes 11 pouches : 2 side large, 2 side lower, 1 medium and 6 smaller ones. One large pocket is placed at the back , if necessary, it can be divided into two . 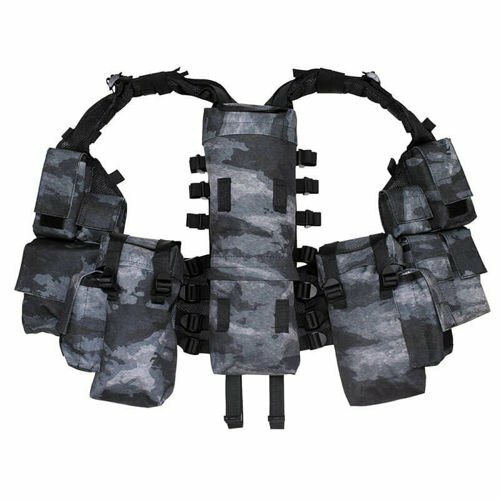 The carrying system is fully adjustable , so you can easily adjust the vest to your body.